BUTLER TWP. — Butler Township Police have charged a West Virginia man with robbery after an incident at the Walmart on York Commons Drive last week. 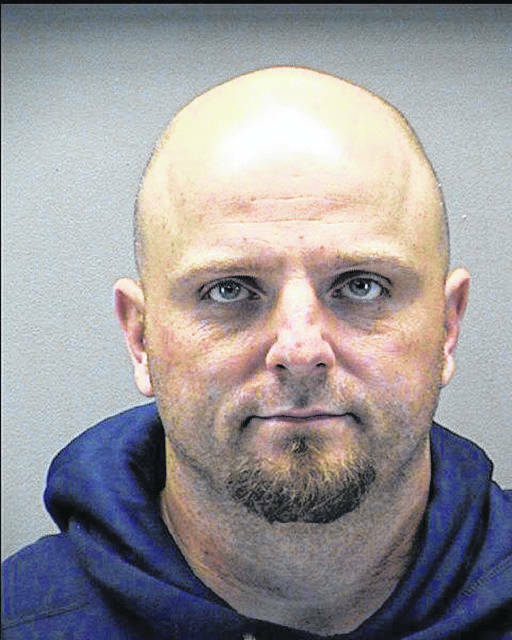 Benjamin T. Honaker, 38, is currently housed in the Montgomery County Jail charged with robbery, aggravated possession of drugs, and possession of drugs. Bond was set at $250,000 by Vandalia Municipal Court Judge Cynthia Heck. According to the police report, officers were originally called to the Walmart on a theft in progress call just before 4 a.m. on Monday, Sept. 17. When police confronted the suspect in the vestibule as he was trying to exit, the suspect resisted police and spun away. Police were able to get the suspect on to the ground and when he rolled over a handgun was lying on the ground next to him. A loaded magazine was found in one of his pockets. Police then located Honaker’s van and had the township K-9 unit conduct a free-air sniff which alerted police to possible drugs in the vehicle. A search of the van uncovered a large amount of drugs including methamphetamine and heroin. Honaker indicated to police that he was picking the drugs up to take back to West Virginia. Honaker’s girlfriend, who was sitting in the vehicle, was not charged in the incident. Honaker is currently scheduled for a preliminary hearing on Sept. 27 at Vandalia Municipal Court but court records indicated that the case will go directly to the Montgomery County Grand Jury.